Pumping up a new company. 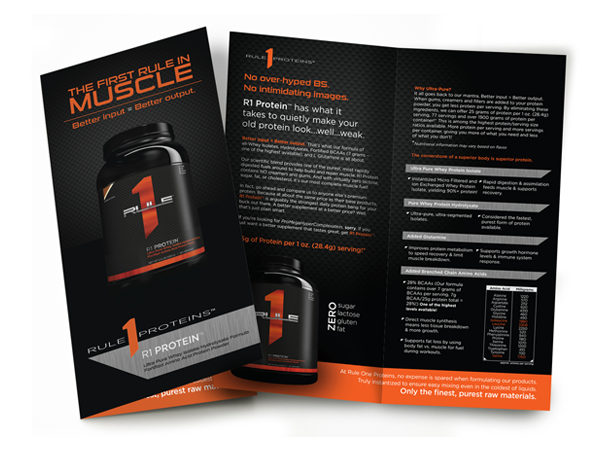 Rule 1 Proteins needed a slick brochure to distribute at tradeshows and to stock at retail point of purchases. In a crowded market, Rule 1 needed a brochure that helps them stand out, and Evoke delivered.